Where did October go? In fact where did 2013 go? Well, no point getting into that. I know I have been MIA lately. October has a lot of birthdays and festival preparations! I have been incredibly busy and didn’t have any time to sit and type! Stay tuned for a lot of hauls because that is what I have been doing! 😛 and this is what the festival season is all about! 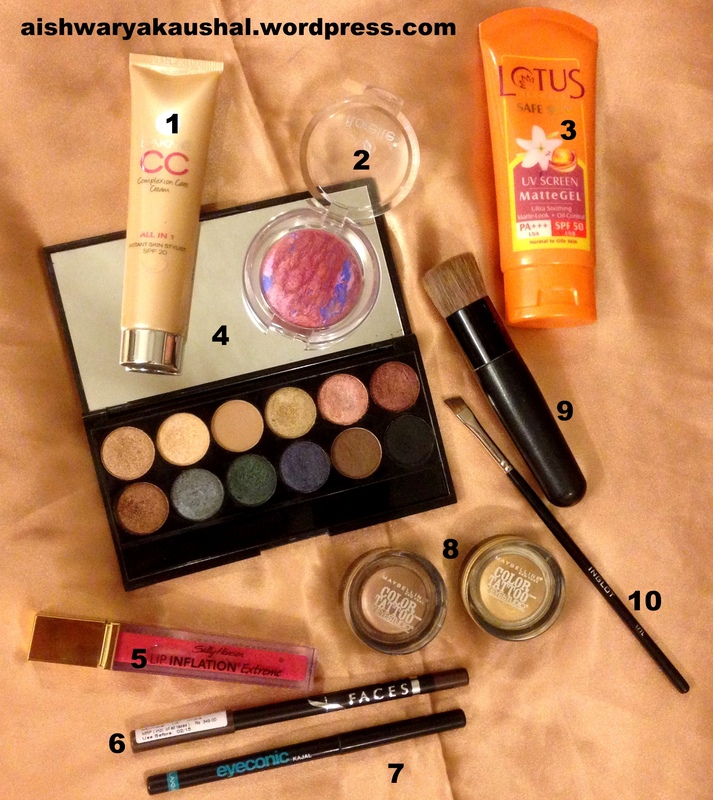 This is my first favorites post and I did have some items that I wanted to tell you about. I have extremely oily skin but since the weather is changing, my skin has been acting weird. It is oily on some days and dry on others. So, on those blah days, I turn to this wonderful product. It is neither too drying nor too emollient. It has a perfect natural finish and feels like nothing on the skin. Keep it mind that it doesn’t have a ton of coverage but yes, it is build able. I use my sunscreen and a primer underneath. If you’re dry skinned then you will definitely need some prepping before this. I am wishing other drugstore brands would come out with CC creams too because I haven’t had any success with BB creams! This is a beautifully pigmented blush! It is perfect for fall and will go with any dark lipstick. It gives a believable sheen to the cheeks without depositing chunky glitter! This is my Holy Grail sunscreen and I never step out in the sun without wearing it. I do not use moisturizer when I use this as sunscreens are emollient enough. This product also acts like a primer. It makes the skin appear smoother and makeup adheres better when I wear this. It will not melt off of your face and it doesn’t flash back! It offers SPF 50 and PA+++ protection. What’s not to love? I LOVE Sleek products! I really wish they’d come to India. However you can order their stuff online from their website. This is my go to everyday palette! 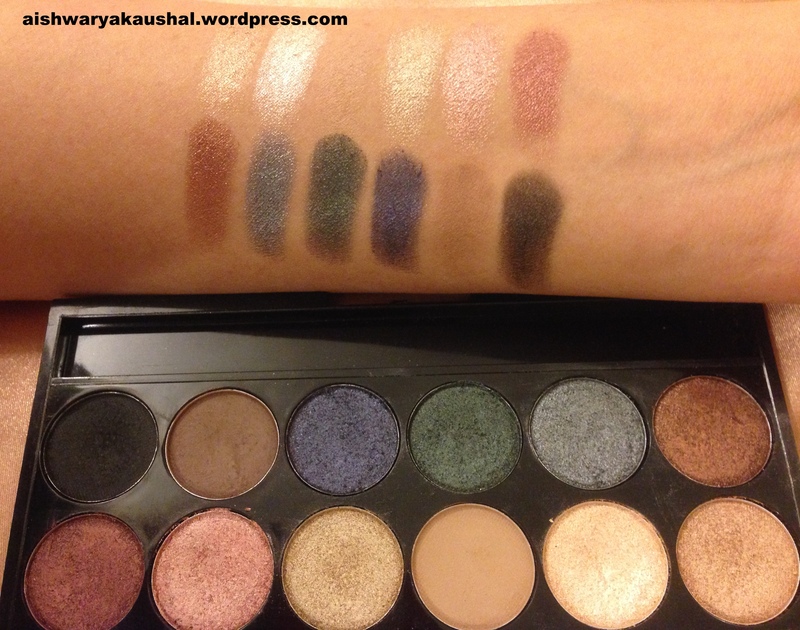 I take this palette with me even when I travel and I am set in the eye shadow department. 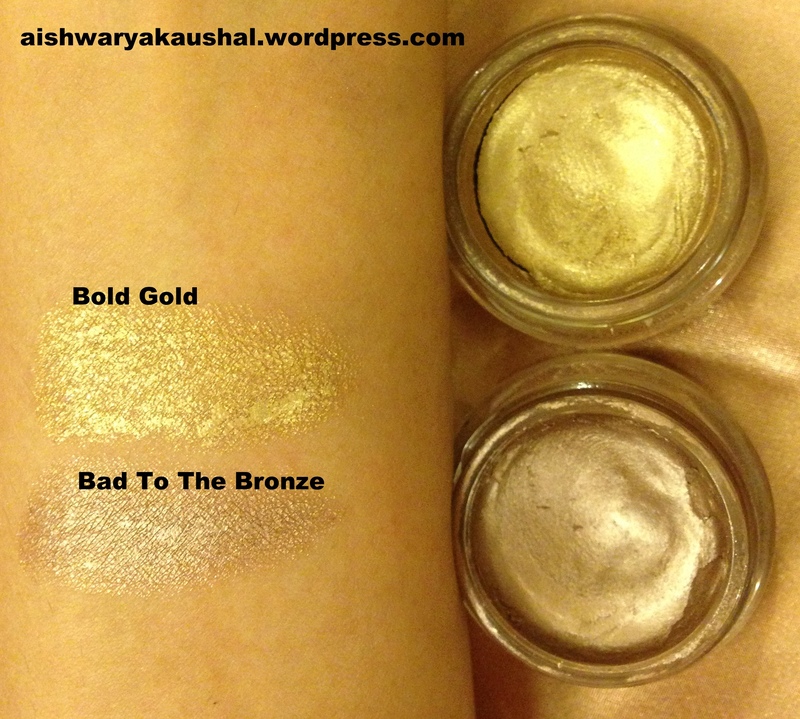 The shades are gorgeous, amazingly pigmented, smooth to apply, easy to blend…. And I can go on and on. I am not much of a lip gloss person. I prefer lipsticks and lip crayon things. This is a very creamy liner and glides on easily on the upper lash line. It doesn’t tug on the delicate eye area and stays on pretty well! You can also use it on the waterline. 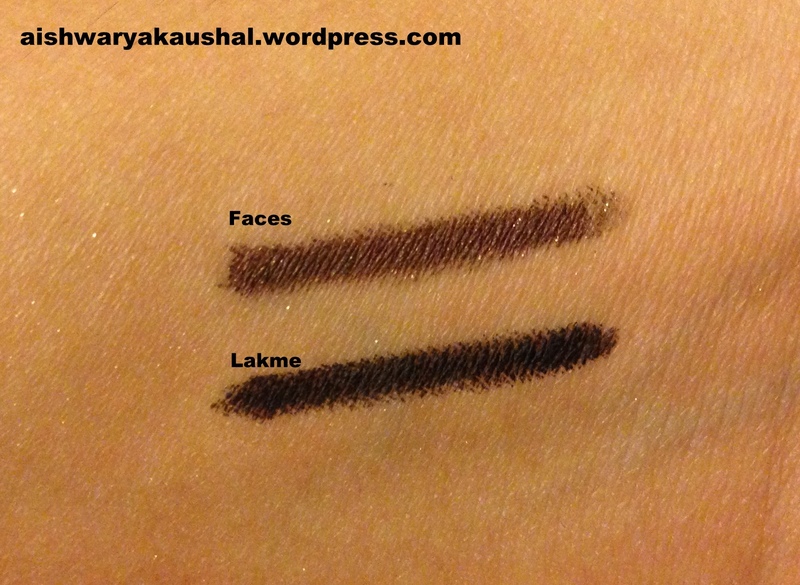 It is pigmented and stays on the waterline. It doesn’t give me raccoon eyes and doesn’t irritate them either! I know this is a hyped product and rightfully so! I have to admit I was using them wrong before and didn’t quite understand the hype around them but now I absolutely love them! You only need to apply the thinnest layer. They’re pigmented and extremely long wearing + waterproof. They’re available in a multitude of colors but since I am most comfortable with neutral eyes I have been using a bronze shade and a gold one a lot during this month! I use this brush for everything! Buffing foundation, applying powder, applying blush, blending bronzer! I own two as of now. Flat top brushes are very versatile and can be used for a variety of things! When I am in a hurry this is a god send because I don’t have to find a blush brush and a powder brush and a bronzer brush! Angled brushes are also very versatile. They can be used to apply eye liner, fill in the eyebrows, apply concealer around the lips…. I use this one for my brows and it is perfect! So that is it for my monthly favorites! I hope you enjoyed reading and found this helpful! What’s In My October 2013 Vellvette Box/Bag!